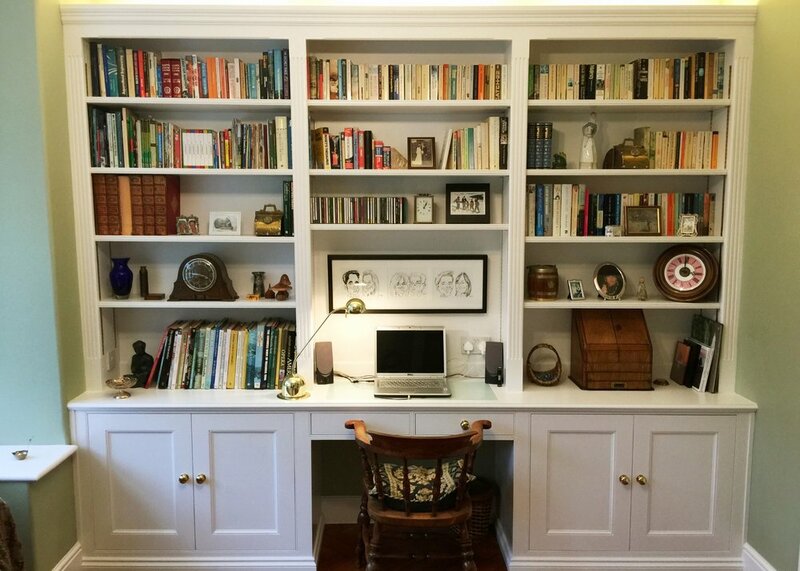 Proudly display your books and maximise your storage space with a bespoke bookcase or full study fit-out by Barn Joinery. Choose from a variety of storage options, design features, finishes and materials to transform your study, library, lounge or home-office. A bespoke bookcase offers you flexibility and the option to include more than just shelves, we can incorporate lighting, media units, integrated desks, drawers and cupboards. Choose from a variety of hard-woods, veneers or paint finishes. All our cabinets are lined with real-wood veneer as standard.